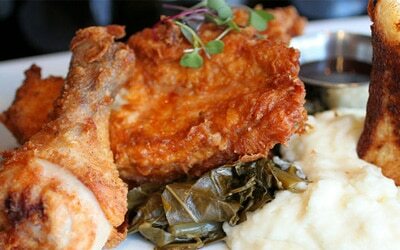 Max's Wine Dive, known for its high-low pairing of fried chicken and Champagne, will open a branch in Chicago in 2014. Founded in Houston in 2006, Max's Wine Dive is half wine-bar, half comfort-food restaurant. Fried chicken is the signature dish, but the menu also has cutesy items such as the Texas "Haute" Dog, with house-pickled jalapeños and cotija, and Nacho Mama's Oysters --- fried Gulf Coast oysters served on fried wontons and topped with habañero salsa and cilantro. Its grilled cheese sandwich comes on thick Texas toast, with a cup of tomato soup on the side. In addition to the Houston original, there are Max's in Austin, San Antonio and Dallas, with more in the works. Artisan ice cream shop Jeni's Splendid Ice Creams from Columbus has opened an outpost in Chicago. Signature flavors include cherry lambic sorbet, wildberry lavender, and pistachio & honey. Jeni’s Splendid Ice Creams, 3404 N. Southport Ave., Chicago, IL 60657, 773-348-7139. Upcoming German-inspired ventures Radler and D.A.S. from Nathan Sears and Adam Hebert (Vie) have found an address in Logan Square. Paul Virant is the consulting partner for both ventures. Radler and D.A.S., 2375 N. Milwaukee Ave., Chicago, IL 60647, 773-276-0270. Chicago Chop Shop serves rustic food, prepared by Epic and Urban Union vet Joshua Marrelli, in a setting that's equal parts restaurant, performance space and butcher shop. Chicago Chop Shop, 2033 W. North Ave., Chicago, IL 60647, 773-537-4440. Wicker Park's Covo gyro restaurant closed in October after about a year in business. Covo, 1482 N. Milwaukee Ave., Chicago, IL 60622, phone not available.